Manley will announce new FCA management team by the end of Sept.
Manley "was the only candidate" to replace Marchionne, John Elkann, FCA's chairman, said. 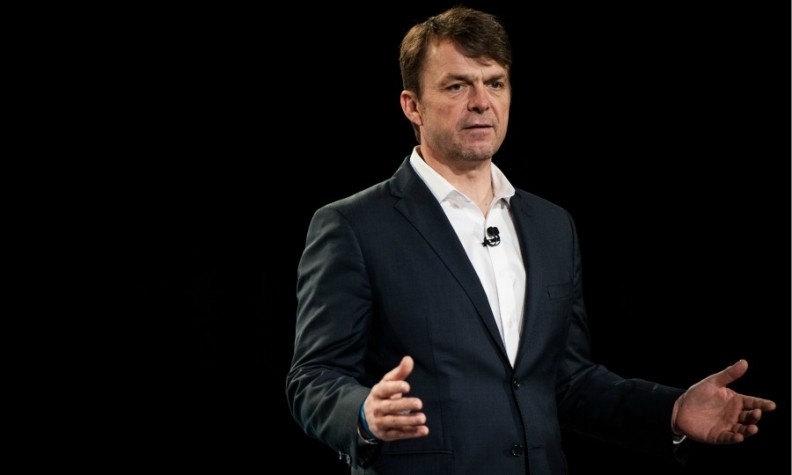 AMSTERDAM -- Fiat Chrysler Automobiles' new CEO, Mike Manley, will announce his management team by the end of September, the company's chairman said at a shareholder meeting called to vote on his appointment. Manley took the helm at FCA on July 21, four days before the death of former CEO Sergio Marchionne. FCA Chairman John Elkann said Manley was the only candidate to succeed Marchionne. Manley has been the largest single contributor to FCA's success, having led Jeep, Ram and the Asia Pacific region, which is FCA's biggest growth opportunity, Elkann said. The decision to appoint Manley was based on succession plans the board were working on with Marchionne for his planned departure in 2019, he said. A minute's silence was held before the start of FCA's extraordinary shareholders meeting here on Friday. Manley's election as an FCA executive board member was approved by more than 99 percent of the votes cast at the meeting. Elkann thanked shareholders for "this great vote of confidence." Besides his role as FCA CEO, Manley is also interim head of the automaker's Europe, Middle East and and North Africa region following the departure of Alfred Altavilla in July.